Steps: How can we find the bug ourselves? Select a multi-story apartment in San Myshuno. Create an open story area within the apartment. View the lower floor from the open story section. What happens when the bug occurs? Elements such as windows, doors, and stairs are invisible when viewed from the upper floor. What do you expect to see? I expect to see all objects visible, as were seen prior to the patch and still seen in a regular open story residence. After the new patch today (13th Nov), any of my 2-story apartments with open floors glitch out; the windows, doors, stairs, even the in-the-wall-wardrobe (Squaring it Square). I've tried reparing the game and clearing out all mods. The issue persists. I can confirm what you are seeing in my game as well @Hallinish - appears to be an apartments only bug, as I did not see the same issue in a regular open story home. I believe it is related to the level upon which your camera is located; when you are viewing from the second story, various elements on the first story go invisible. If you drop down a level, the elements reappear. I will add it to our list of visual glitches. Thanks for reporting! Edit: I've moved the report to the Bug Reports forum and filled in the required form for the post (the Bug Report forum requires additional information). I realised that I should have filled out a proper form a few hours ago when I browsed this site during breaktime. Thank you for helping me out, and sorry for taking your time, it was very rude. Graphic Bug happening in ALL lots of San Myshuno, and graphic bug in map view. Steps: How can we find the bug ourselves? After modifying a penthouse or apartment, or completely replacing it with another building, additional tiles can be seen from outside the buildings in the map view. This problem happens in a similar way to another bug I reported here and has not yet solved: https://answers.ea.com/t5/Bug-Reports/OPEN-CL-Additional-floor-tiles-outside-apartment-after-modifyi... Second problem: Just go in a penthouses and apartments and try to view the lower floor through the upper floor in an opening area to the first floor as I have shown in the pictures. What happens when the bug occurs? Stairs disappearing partially or completely when we move the game camera being on the second floor of the house, and viewing the first floor at the same time. First floor objects disappear when we visualize them through the second floor, through the opening of the floors . What do you expect to see? Stairs and objects should not disappear or be inconsistent when viewed from a second floor in rooms with openings between different floors. And the additional floor should never appear in the map. This publication aims to report two different problems. 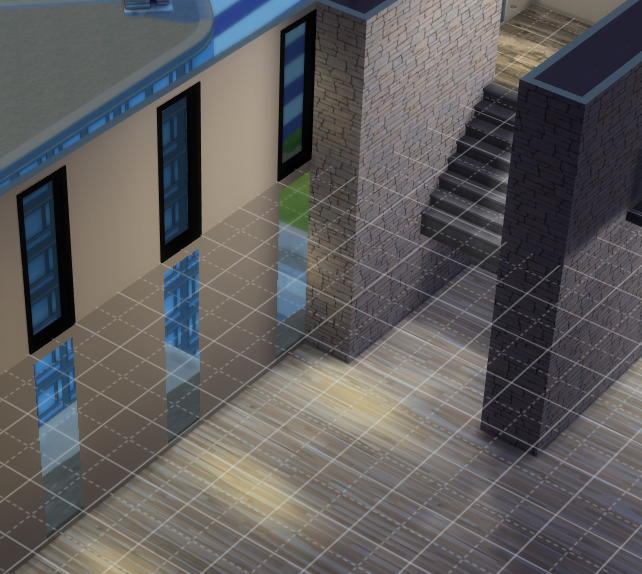 Do you remember the bug that I reported almost 3 months ago (and has not yet been fixed) that causes aditional tiles appearing outside the apartment selection UIof The Sims 4 City Living? 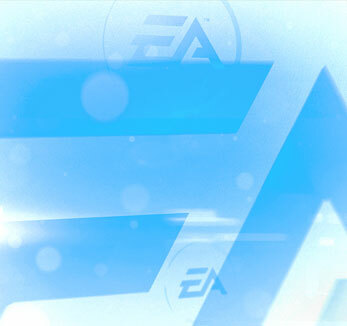 LINK: https://answers.ea.com/t5/Bug-Reports/OPEN-CL-Additional-floor-tiles-outside-apartment-after-modifyi... I need to report that the problem has gotten worse now, and after the November update, these aditional tiles can now be seen in the map view, usually after we make some modification in the original lot or we replace it with a completely new building. After the November update, several lots of San Myshuno are suffering graphic problems. These problems usually happen in penthouses and apartments that have more than two floors. When a penthouse or an apartment has an open area in the first and second floor division, when we try to view the first floor through the upper floor, the stairs begin to suffer graphic problems depending on the position of the camera, and many objects that were on the first floor begin to disappear. From what I've come to realize, this problem only happens in areas with openings between the first and second floors, and logically affect stairs, since they obviously make an opening in the floor. On one of my lots, one of my stairs is completely invisible on the second floor, only visible on the first floor. handrails are affected as well. I already asked some friends to check in their games if the same was happening, and they confirmed that yes, the problem was also happening in the same way. I honestly hope that these problems, including that of the other publication, are resolved. San Myshuno is DESTROYED. Not only do we have graphical bugs in the apartment selector ui, as well as graphical bugs on the map, and now an even worse graphic bug happening within lots. @Simificando merged your report with the pre-existing report for the visibility of downstairs objects in apartments. As for the tiles outside apartments issue, please add any updates/comments to the original thread, which you already linked. We do want to keep issues separate for tracking purposes. Thanks! What expansions, game packs, and stuff packs do you have installed? Everything except 6 Stuff Packs: My First Pet Stuff, Toddler Stuff, Bowling Night Stuff, Movie Hangout Stuff, Backyard Stuff and Luxury Party Stuff. What happens when the bug occurs? While on the entresol/mezzanine the furniture from the floor below doesn't show, it's just bare floor. Stuff on walls shows fine. I'm attaching a print screen where there are mirrors on the wall and you can see the furniture in the mirror but not on the floor. It's the same when I have a glass roof. When I'm on the floor I can't see anything through the sunroof but bare floor. At some angles the furniture would flicker but mostly it's just not there. Please describe the patch or change you made. This started happening after the terrain update a few days ago. I noticed it before I installed Get Famous so it's definitely to do with that update and not the new pack. Before that everything worked fine and I had no issues at all. I'll just add that this happens all the time when on an entresol looking down, but only sometimes when looking up at the entresol from the floor below, on the other hand when looking up stuff on walls disappears as well and it never does when looking down. So to summarise: Looking down: Stuff on the walls on the floor below ok, stuff on the floor always disappears (sometimes flickers at certain angles) Looking up: Stuff on the walls on the floor above often disappears, stuff on the floor isn't visible because floor is in the way so I can't tell. Yep, I've seen this too and only in multi-level apartments that are open to the second floor. I forget which apartment it is now, but one of the default Maxis apartments in San Myshuno has this problem. So it's not caused by editing the lot in any way. All you have to do is load into the apartment and go up a floor to see it. When on an upper level of a house, objects on the lower levels will constantly pop in and out of existence on the lower levels. I've tried disabling all mods, going through the settings, changing graphics settings, switching to windowed mode, etc. nothing seems to be working. This never used to happen and it's extremely annoying, almost game-breaking for me as I like to build mulit-levelled houses with lots of open space. Anyone have a fix or at least experiencing the same issue? This sounds really weird, could you maybe share some screenshots of what you're seeing? Do you have this on all houses or just one?